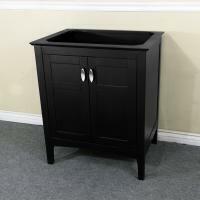 This single sink vanity has a classic design that will look great in any bathroom. 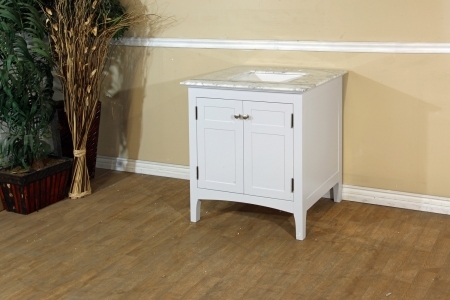 The white finish is enhanced by the brushed nickel material of the hardware pulls and exposed hinges. Raised off the ground on legs, this piece will provide style as well as great storage functionality with a double door cabinet that has an interior shelf.